﻿﻿Congratulations on taking the first step to owning chickens (or as we Aussies say “Chooks”). Chooks make great pets and mine generally live to ripe old ages (none of my girls will end up in the cooking pot). They all have individual personalities, and I wouldn’t be without them. So what are the benefits of owning chickens? When you raise your own birds, you know exactly what goes into them and therefore what goes into their eggs. The eggs from your backyard chickens will taste so much better, and they are actually more nutritious. The eggs are fresh, and you can visibly see this from the colour of the yolk (it is more yellow), and the viscosity of the white (it is thicker). Chickens are incredibly entertaining to watch – beats TV any day. Chickens eat unwanted weeds, bugs and snails and slugs – no need for p﻿oisonous chemicals. There are many breeds of chickens – too many to cover here and I suggest you do some further research before picking your desired bird. You can however, broadly group them into 3 groups. Egg Layers - guess what they were bred for? Meat Birds - designed purely for meat – these birds grow quickly and reach a heavier size than other breeds. Commercial meat birds are ready to eat L at around 7 weeks of age. Of these you can obtain Bantams (little chickens), Crossbreds and Purebreds. The crossbred egg layers are generally described as ISA Browns and are commercial hens – they are designed for the most egg production and are light weight birds. These birds produce almost 1 egg/day. These hens are often those used in battery hen operations. The Breeds I like are below – please remember this is just my personal preference – the reason I have chosen the breeds below is they tend to be quite friendly and due to their extra body weight are less likely to cruise over my fence and go for an adventure. Sussex (Speckled, Light, Silver, Coronation, Buff). My all time fave chook. These birds are dual purpose birds and weigh about 3-4kg. They still produce eggs, however on average this would be less than a commercial bird – say 3-4 per/week. A dual purpose breed. They weigh around 3kg and can produce between 3-4 eggs per/week. These sweet birds were produced as a dual-purpose breed and originated in Australia. They come in both a bantam and standard variety. The standard birds can weigh between 3-4kg. They produce a lot of eggs considering their size at roughly 300 per year. Another dual purpose bird. These ladies will produce roughly 200 eggs per year and weigh approximately 3kg. They can have a tendency to be “broody”. These birds were bred in the 1800’s as a meat bird. I have only recently been introduced to these birds. My lovely lady is called Miranda. And these birds are big birds! Ladies can weigh between 4-6kg. The egg production for these ladies is still surprisingly good at about 3 per week. Another dual purpose breed. This is one of the most popular backyard chickens. The ladies reach around 3kg and will produce roughly 5-7 eggs/week. The commercial hens used as egg layers with a super high egg production rate of almost 1 egg/day. These birds are hybrid or cross bred bird that resulted from crossing Rhode Island Reds and Rhode Island Whites (and a few other breeds). They usually weigh around 2kg or just under. These birds weigh between 2-2.5kg. They were designed as a layer breed and will produce almost as many eggs as an ISA brown at around 280/year. My only experience with a leghorn is with my lady Molly (a brown leghorn). She is considerably smaller than my other girls and very flighty. These are a unique and striking looking bird that are quite small with a weight similar to that of the ISA Brown (around 2kg or just under). These birds will lay approximately 3-4 eggs/week. The Barnevelder chicken is bred as a dual purpose breed. They are both relatively heavy with a weight of 2.5-3.5kg and will produce roughly 3-4 eggs/week. This breed also has a bantam variety. Where to buy your hens? There are many places you can purchase your hens. I purchase mine from Heritage Hens and Hatchery. I do this as it is important that they have been vaccinated. Vaccination will help protect your hens against the horrible disease called Marek’s disease as well as others including Newcastle disease, infectious laryngotracheitis and infectious bursal disease. You should also consider ex-battery hens. These hens will have produced a number of eggs already however are still producing eggs and will happily romp around your yard, scratch the dirt and have a good life. When starting your flock – I would recommend purchasing point-of-lay pullets – these are around 5-6 months old. You should have at least 2 birds or more as they are social flock animals. You can also consider day old chicks. These will require a lot of care from you once you bring them home. They need to be kept at the correct temperature, with access to fresh clean water, and a commercial chicken starter mash available at produce stores etc. Although these birds can come sexed, it is still possible to end up with boys when you were really looking for girls. Looking after hens does require some intervention for optimal health care. Your hens should be vaccinated prior to you getting them (check this). The one hen I had from a non-vaccinated environment, died from Marek’s disease. Yes hens get worms too, just like dogs, cats and people. It is important that this is treated regularly – every 3 months. Younger birds should be treated monthly until 6 months. Birds that have worms, cannot only pose a risk to your health but can also suffer. These birds will often be under weight, and can be anaemic. This can result in death. I treat my birds with Vetafarm - Wormout Gel – 0.5ml/kg given by mouth or crop syringe. Do not consume the eggs for 2 weeks. For smaller birds you can dilute the Wormout Gel – 1ml Gel in 9ml of water to make 10ml of solution. From this solution you can give 0.5ml/100g of body weight – weigh the birds accurately and use a small syringe for accurate dosing. There are also other worming products available – many of these you add to the water. I have tried these however found that the birds didn’t like the taste and so avoided drinking. Obviously in an Australian climate this could be devastating if they do not drink. I also wonder how you can be sure each bird has been adequately dosed. Just like many animals, your hens can also carry lice/mites. These can be zoonotic and spread to you and your other pets. Your birds can get lice/mites from wild birds. A product such as Fido’s free itch rinse can treat bird lice. Mites may require further treatment – consult your veterinarian or an avian specialist for further advice. For any treatment, restrictions and a withholding period may apply to the use of the eggs and meat. Read the instructions carefully. Your hens will need a safe enclosure. The enclosure needs to protect them from extreme weather. Your enclosure should also protect your birds from attacks from cats, dogs, foxes and snakes. Ideally your enclosure should be easily cleanable. If you are going to allow your hens access to a yard or run, I recommend having a concrete floor in the enclosure as well as small mesh for the walls (mice wire). This will help prevent snakes eating your chooks and rodents eating their food. If your hens have access to the yard, ensure they are safely put away on dusk. There are many types of coops and tractors available. Many of these have wheels so that you can move them around, however do not have a floor. Rodents can easily dig under the side walls, as can dogs and foxes. If choosing a metal coop remember, that in the Australian sun this can quickly heat up and will provide your hens no protection from the heat. An ideal chicken coop will have shade, sun, ventilation, and a draft-free nesting area. A mesh front and side, with a solid back and partially enclosed sides (part solid part mesh). If you are building your own coop – design it so that it is easy to clean. A concrete floor is easier to clean and hose. A sloping floor can make it easier for you to clean. The entrance should be big enough that you can get in there to clean, and ideally the coop should be tall enough that you can stand without crouching or crawling. If your chickens won’t have access to your yard during the day, they should as a minimum have no less than one square metre per chicken. You should clean your enclosure regularly. Remove manure and uneaten food. Your chickens should have a food container or trough that is raised from the ground and will help to protect their food from contamination. A water source also needs to be provided. Eggs are made of up to 70% water, and hens will need a reliable supply. The water should be provided in containers/troughs that are clean and shaded from the sun. 3 laying hens can drink up to 1L water/day. Nest boxes need to be supplied and should have a material that your hens can nest in. They should be at least 60cm off the ground and have a dimensions of 30x30x30cm. You will need a minimum of 1 nest box for every 4-5 hens. Roosts – your hens will need to roost at night. They like to be elevated off the ground. You need to provide either a bench type roost or roosting perches – these should be placed a minimum of 50cm off the floor and with at least 15cm roost space per bird is recommended. Your bigger birds will need more space. You should regularly clean your chicken shed – remove all manure, litter, bedding and food scraps etc. Spray and scrub from top to bottom (literally) with a disinfectant such as F10 – allow for the specified contact time and then wash away if directed. When cleaning your chicken shed/coop you should wear a P2 particulate mask/respirator, long sleeves and long pants, covered shoes and sturdy gloves. As much as chickens are commonly kept pets there are also some things that should be considered. As mentioned just before – where cleaning your chicken enclosure you should wear protective clothing including a P2 particulate mask. I also spray the enclosure with a mist of water prior to cleaning – this helps prevent dust particles. Chickens can carry disease and some of these diseases can also be passed on to humans (or other pets). A type of bacteria. This is a gastrointestinal infection that can result in diarrhoea, abdominal cramps, fever and pain. The most common route of transmission is faecal-oral or then ingestion of contaminated food or water. Foods linked to campylobacteriosis commonly include raw or undercooked poultry. Salmonellosis is another gastrointestinal infection caused from ingestion of the salmonella bacteria. Symptoms of salmonella poisoning include diarrhoea, fever, headaches, abdominal cramps and vomiting. A person may contract salmonella poisoning from their hens via eating undercooked poultry or raw or undercooked eggs. You can also get salmonellosis from your birds faeces (you may not even know you have faeces on your hands). Psittacosis is caused by the bacterium Chlamydia psittaci and is more commonly found in parrots (both wild and domestic). However it can be found in chickens. It is spread via breathing bacteria which may be in an infected birds shed feathers, droppings, nose or eye secretions. Dried secretions can remain infectious for many months. In humans symptoms of Psittacosis include, fever, headache, aching muscles, chills and a cough (which is usually dry). Psittacosis can lead to pneumonia resulting in shortness of breath and chest pain. Depending on your council area, you may have regulations and restrictions. In the Brisbane City Council area a household with an area of more than 800 square metres can keep up to 20 birds, and areas under this can keep up to 6. You must also ensure that you position your poultry enclosure in an area that does not cause a nuisance to your neighbours – this includes keeping your shed a minimum of 1 metre from dividing fences. You need to ensure that your hens are kept in a condition that does not produce an odour or encourage fly breeding. Foods should be stored in sealed pest-proof containers. If your enclosure is not rodent proof, limit the amount of food you put out so as not to encourage rodents. Remove manure and place it in weather-proof and fly-proof containers. Roosters are not permitted in residential zones. They are permitted on acreage provided they do not create a noise nuisance. Young chicks and birds up to point of lay should be fed a commercial grade good quality chick starter mash. You should feed your hens a good quality layer mash/pellet. You can also purchase grain formulations. Do not feed the layer mash to your chicks as this can cause renal disease. I feed my girls a mix of 2 parts commercial premium pellets to 1 part darling downs layer grain. To this I also add household fruit and vegetable scraps, along with the occasional pasta treats etc. Chickens must also have a supply of shell grit. Chickens are surprisingly intelligent creatures and will enjoy the odd problem solving puzzle. I have given my girls kongs stuffed with some of their favourite foods. You can also freeze fruit and veges as well as dry dog food etc in a tub or container and give them a chickencicle in the hotter months. Ensuring your hens do get access to dirt and ground to peck, dig and scratch is important. Use a clam shell pool and straw in their enclosure and hide the higher value food (grain) or meal worms in there. Watch them really get into it. Sun and dust bathing are some favorite pastimes for hens. Chickens are highly social animals, and should not be housed alone. The also will enjoy spending time with you. Chickens are prey animals and can be frightened easily. Supervise your dog/cat and chicken mutual access areas. Many dogs are fine with chickens, however some cannot resist the urge to chase them. This isn’t helped when the chickens flap and squawk whilst running away from the animal. Don’t forget neighbours dogs and cats too. Chickens can also be surprisingly vicious and will pick on each other and smaller animals. Animals such as guinea pigs housed outside with wire sufficient for a chicken to put their head or beak through are also at risk. Adams, C. (2013). The Many Benefits of Raising Chickens - The Prepper Journal. [online] The Prepper Journal. Available at: http://www.theprepperjournal.com/2013/03/30/the-many-benefits-of-raising-chickens/ [Accessed 7 May 2015]. Better Health Channel, (2015). Psittacosis - parrot fever - Better Health Channel. 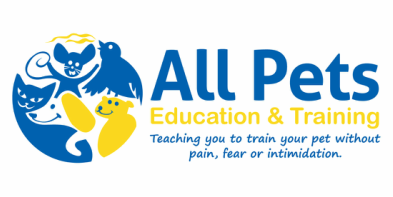 [online] Available at: http://www.betterhealth.vic.gov.au/bhcv2/bhcarticles.nsf/pages/Psittacosis_parrot_fever [Accessed 7 May 2015]. Brisbane.qld.gov.au, (2015). Chickens and poultry | Brisbane City Council. [online] Available at: http://www.brisbane.qld.gov.au/laws-permits/laws-permits-residents/animals-pets/chickens-poultry [Accessed 7 May 2015]. Chicken, N. (2015). Why Raise Chickens In Your Backyard? The Many Reasons & Benefits. [online] BackYard Chickens. 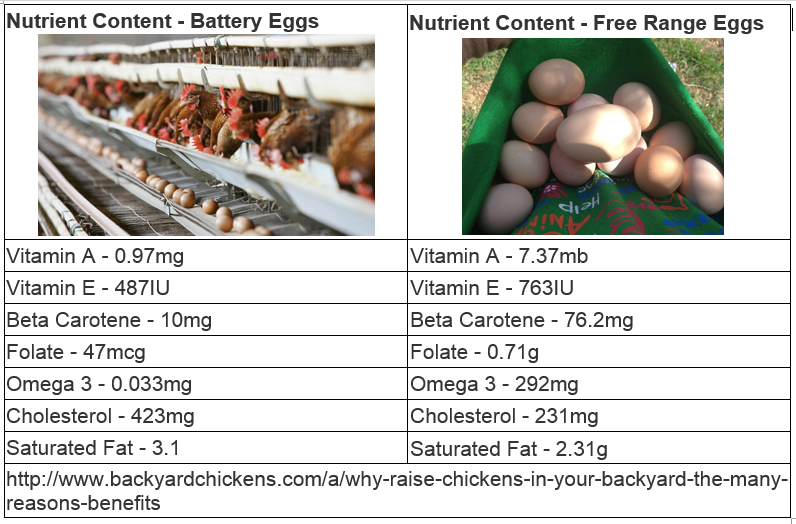 Available at: http://www.backyardchickens.com/a/why-raise-chickens-in-your-backyard-the-many-reasons-benefits [Accessed 7 May 2015]. Ideas.health.vic.gov.au, (2015). Psittacosis - the facts - Infectious Diseases Epidemiology & Surveillance - Department of Health and Human services, Victoria, Australia. [online] Available at: http://ideas.health.vic.gov.au/diseases/psittacosis-facts.asp [Accessed 7 May 2015]. Sustainablelivingguide.com.au, (2015). Sustainable Living Guide for Local Government & Business Sustainable Living Guide | Keep chickens for eggs. [online] Available at: http://www.sustainablelivingguide.com.au/garden/keep-chickens [Accessed 7 May 2015].